There aren't enough food, service, value or atmosphere ratings for Kilwin's, Illinois yet. Be one of the first to write a review! Stop in for refreshing ice cream or fudge. The ice cream flavors are great. Look for coupons for ice cream or fudge. 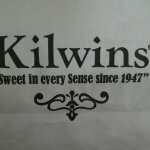 Kilwin's has a wide assortment of desserts including different types of fudge and many flavors of ice cream. Staff were very accommodating at offering samples of both ice cream and fudge. The cake batter ice cream with chocolate chips was outstanding! Ice-cream is OK. There's no small serving. One scoop is 5 1/2 ounces. That is a LOT of ice-cream. Staff are polite and know how to say, "You're Welcome" instead of "No Problem." Awesome Fudge!!! 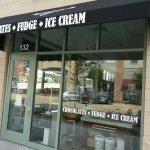 New in St. Charles! Get quick answers from Kilwin's staff and past visitors.